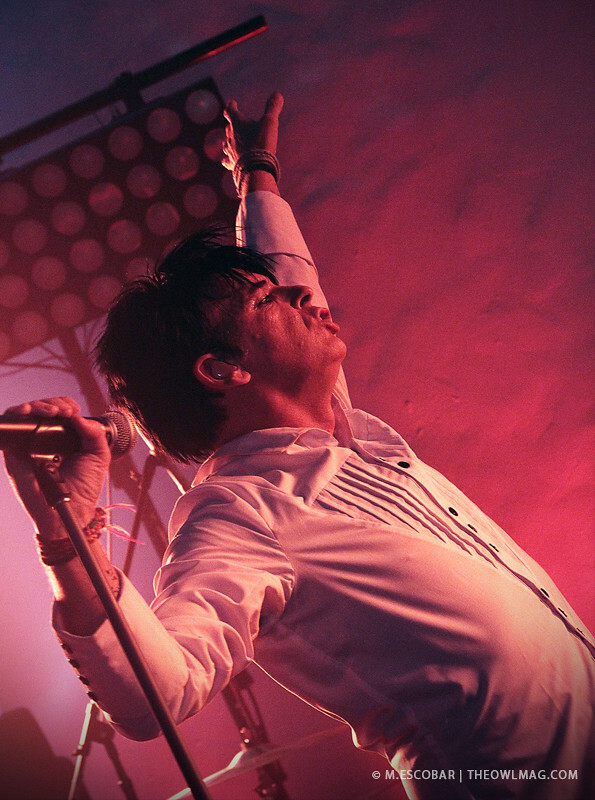 With no opening band and very little breathing room in the cramped Masonic Lodge at Hollywood Forever Cemetery, the crowd was anxiously awaiting synth pop icon and pioneer Gary Numan on Thursday night. The room was packed with long time fans, fresh faced youths, cyber goths, and even a couple of rock stars (Hello Billy Howerdell of A Perfect Circle, Danny Lohner formerly of Nine Inch Nails / Puscifer and Matt Skiba of Alkaline Trio). 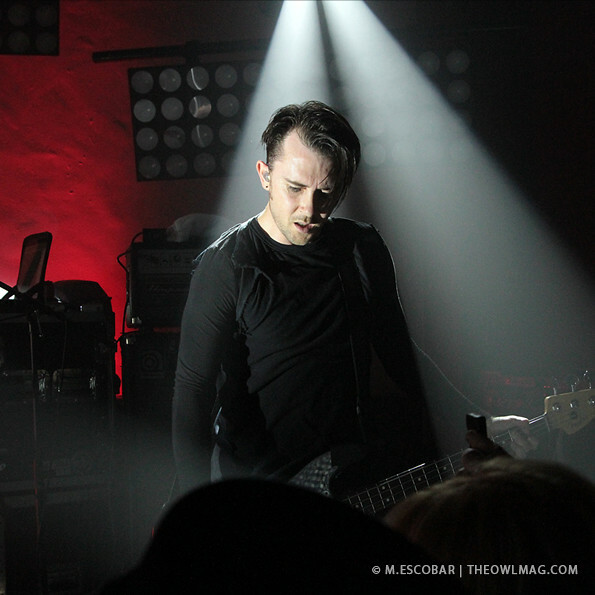 The wait for Numan to hit the stage seemed to last forever and the mood, as well as the heat, was high in the room. However, the moment the lights dimmed and the first electronic drones played through the PA, everything changed. 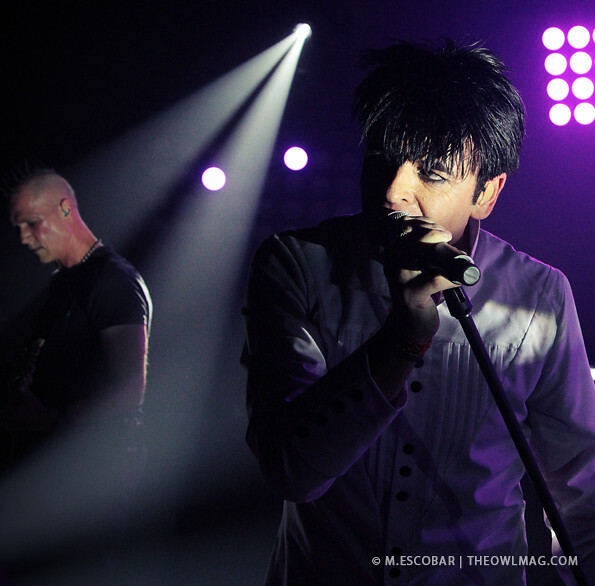 Out supporting his long awaited new record Splinter (Songs From A Broken Mind), Numan and his excellent backing band tore through an electrifying set that included mostly new material. While it was awesome to hear synth pop classics “Cars,” “Down In The Park,” and “Are Friends Electric?,” it was the new tracks that really impressed us. Songs like “I Am Dust,” “The Calling,” and “Lost” were standouts. On “Lost,” Numan finds the perfect balance of atmospheric electronics and guitars all while baring his soul to everyone in earshot. Gary Numan’s new direction finds him marrying his pioneering electronics with a harder, more industrial sound. His new music is fresh and current and lacking the element of nostalgia that so many veteran artists rely on. 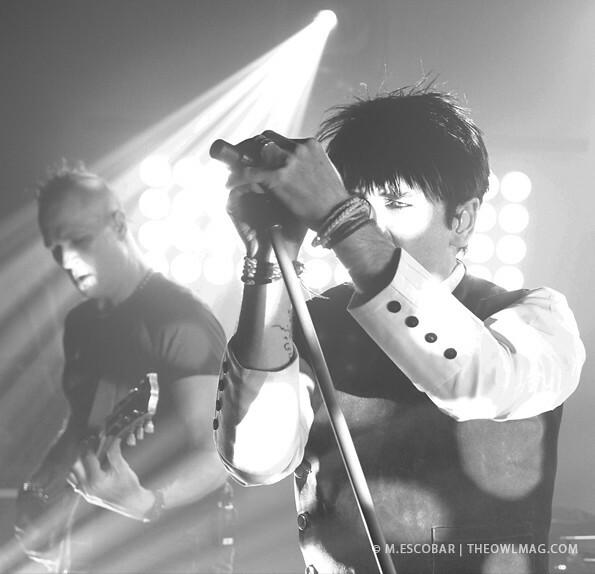 The fact that Numan continues to push forward and look forward in his music is really what has kept him relevant throughout his career. He’s currently on tour supporting his new record and will be opening for Nine Inch Nails later this month. Check out more amazing shots of the legend HERE!